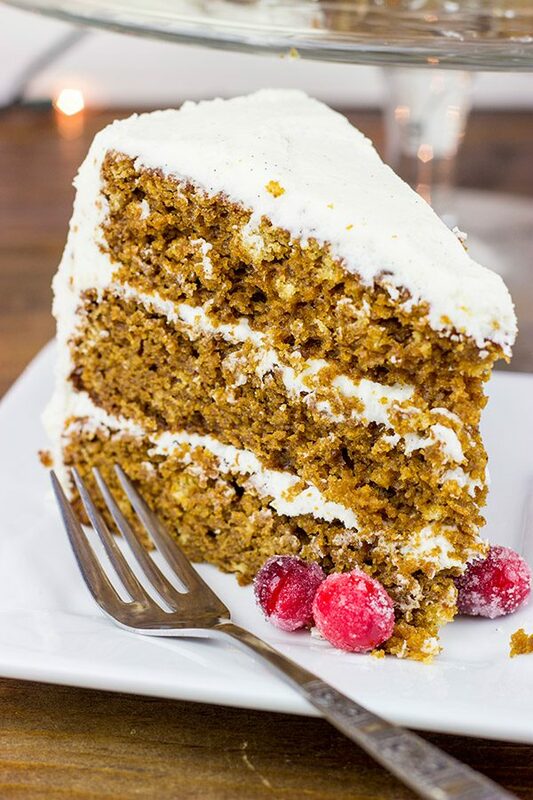 Packed with spices and real vanilla beans, this Gingerbread Cake with Vanilla Bean Frosting is the perfect holiday dessert! I have a problem when it comes to sales. Laura wasn’t aware of this when she met me, but soon after I showed up with 14 boxes of cereal following a grocery store run. Now she’s aware of my problem. What? They were on a great sale! And you know we’ll eat them! So the post-Christmas shopping sales are one of my favorite times of the year. I usually pick up new Christmas lights to replace the burnt-out strands. And then there’s the boxes of holiday cards at 90% off. And last year I grabbed a new Santa hat for 79¢. You know, to replace the one I lost running through the neighbor’s backyard on Christmas Eve. Oh, I guess I should explain that one, huh? To explain the missing Santa hat, I need to go back a couple of years. You see, I was out shopping some holiday clearance sales (surprise, surprise), and I stumbled across a Santa outfit. A real deal Santa outfit. It took me all of about 4.3 seconds to decide that I needed it. (Laura just rolled her eyes when she came home and saw it…) But, yes, I do indeed own a Santa outfit. I got the idea that it would be fun to dress up as Santa and just run through the backyard. The kids would just catch a glimpse of me and get excited for Christmas. Well, my plan worked…better than expected. I snuck back across the street and got dressed in my Santa gear. I then called one of the adults and told them to get the kids ready at the back window. Success! Santa trotted across the backyard with a huge bag of toys (i.e. bubble wrap) in tow. But there was only one problem: one of the kids didn’t see me. So the adults asked me to make another trip through the backyard. No problem, right? Problem. This time, some of the older kids decided they were going to catch Santa. And those older kids are also on the track team. So while Santa was getting ready to make a 2nd pass through the backyard, he heard “Santa! Get him! Tackle him!” from about 10 feet away. Let’s just say Santa hasn’t run that hard in years. Somewhere along the way, Santa’s hat fell off. (The kids kept it as proof that they almost caught Santa.) I somehow made it back across the street in one piece. In fact, there was a guy out there walking his dog. Can you imagine the look on his face when he saw Santa run by at full sprint on an otherwise quiet and peaceful Christmas Eve night? Our neighbors invited us to join them again on Christmas Eve this year…but I’m thinking I should just stick to baking delicious cakes this time. As you guys know, gingerbread is my all-time favorite holiday flavor. 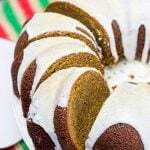 (This Gingerbread Pound Cake turned out quite well a couple of weeks ago!) So I decided to hit the kitchen one more time before the holidays and create a traditional Gingerbread Cake. As if improving on gingerbread is even possible, I upped the ante with this Vanilla Bean Frosting. 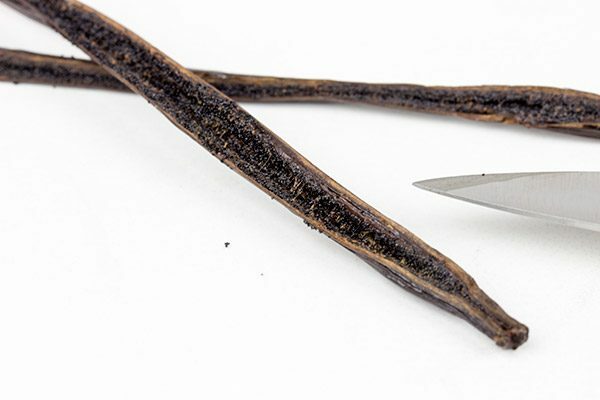 Have you guys ever used real vanilla beans in your baking recipes? (Hint: Do it now! Seriously!) I love vanilla bean everything. Vanilla bean ice cream. Vanilla bean Greek yogurt. And now Vanilla Bean Frosting. 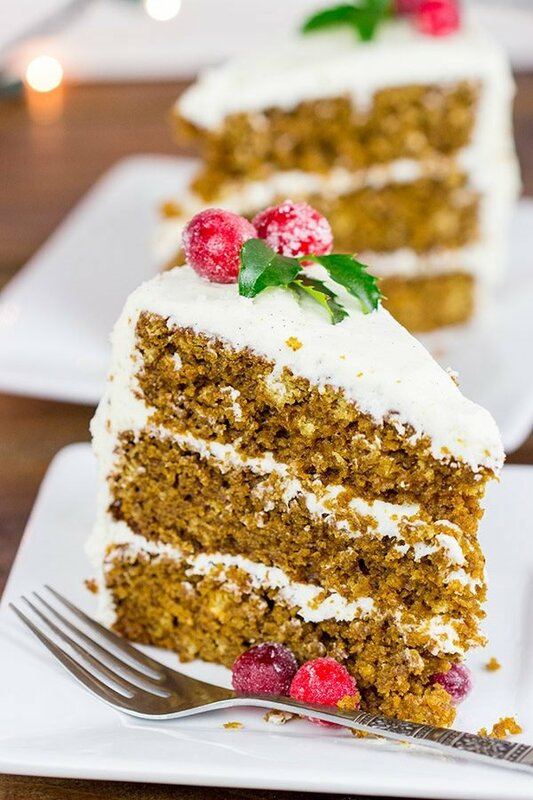 I order my vanilla beans online, and for this Gingerbread Cake with Vanilla Bean Frosting I used several Tahitian vanilla beans from Papua New Guinea. These beans have a very deep vanilla flavor, and I can 100% say that they took this frosting to a whole new level! You guys probably already know this, but you can totally make vanilla extract at home, too. Just buy some quality vanilla beans and let them soak in a decent quality liquor. (Vodka works best, but my Mom has used rum before, too.) After a couple of months, *boom* homemade vanilla extract. This Gingerbread Cake was a huge hit around here. Even Laura, who readily admits that she doesn’t like gingerbread, enjoyed her slice. We’re trying our best to be good during the holidays, so I sliced up the rest of this Gingerbread Cake and wrapped each slice individually in plastic wrap. Then I put them all into a freezer bag and off to the freezer for safe keeping. I am most definitely planning on enjoying a slice of that cake by the fire on a cold day in January! 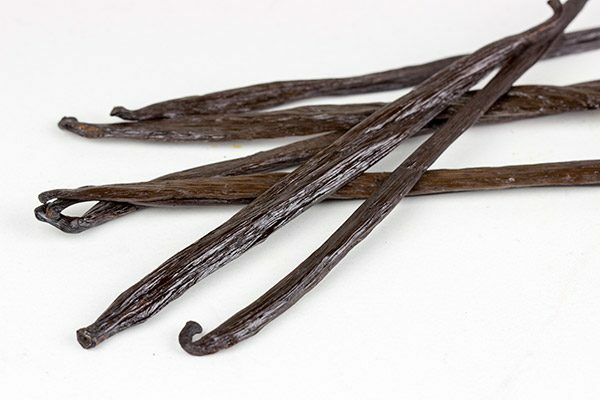 I highly recommend ordering vanilla beans from SLOFoodGroup. The company was founded by chefs, and they clearly understand how to select top quality beans. In addition to vanilla beans, they also sell saffron, Ceylon cinnamon, edible gold leaf and dried morel mushrooms! The mushrooms make me want to hit the kitchen and come up with a tasty soup for winter lunches! 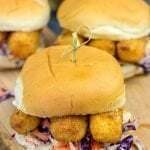 (You can order directly through SLOFoodGroup, but they also have an Amazon storefront, too.) 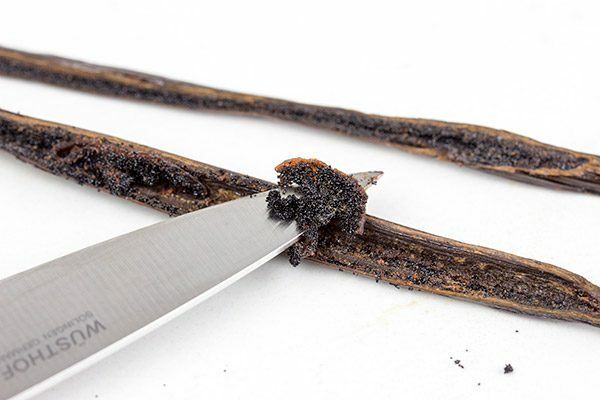 Give real vanilla beans a shot in your next baking adventure…trust me on this one! Preheat oven to 350°F. Grease and flour (3) 8” round cake pans; set aside. Using a medium bowl, sift dry ingredients (flour, baking powder, baking soda, salt, ginger, cinnamon, cloves and nutmeg) together until well combined; set aside. Using a countertop mixer, cream together butter and sugar until light and fluffy (~3-4 minutes on medium speed). Add dry ingredients; mix on low speed until just combined. Add molasses, buttermilk and scraped vanilla bean seeds; mix on low speed until just combined. Divide batter evenly between 3 cake pans. 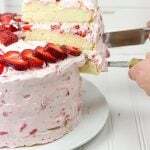 Bake for 26-28 minutes, or until a toothpick inserted into the center of the cake comes out mostly clean. Let cakes cool for 10 minutes in the pans before turning them out onto cooling racks until completely cool. Using a countertop mixer, beat butter on medium speed until light and fluffy (~3 minutes). Add powdered sugar 1 cup at a time, mixing on low speed after each addition. Add salt, scraped vanilla bean and milk; mix on low speed until well combined. Using a small saucepan, add ½ cup of sugar and water. Place pan over low heat and stir until sugar has dissolved. Bring mixture to a light simmer and then remove from heat. Stir in cranberries. 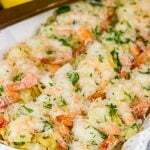 Cover and refrigerate for 8 hours, or overnight. Place remaining 2 Tbsp of sugar in shallow bowl. Add cranberries and toss until well coated. Spread cranberries out on a baking sheet in a single layer. Let dry at room temperature for 1 hour. Place one layer of cake on large platter. Spread ~¾-1 cup of frosting on top. Repeat with 2nd and 3rd layers of cake. 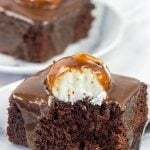 Use remaining frosting on top and sides of cake. Garnish top of cake with sugared cranberries. As the sugared cranberries need to soak overnight, I recommend making them the day before you make the cake! 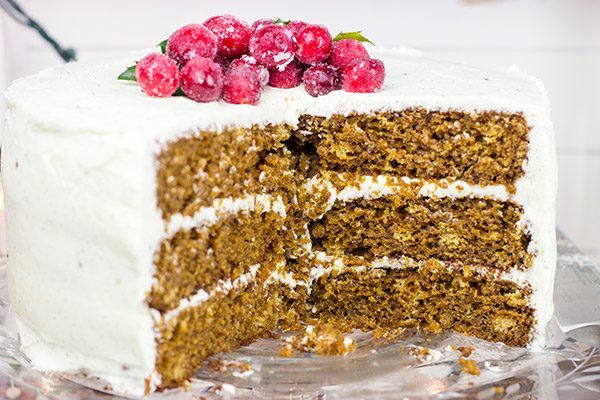 This Gingerbread Cake with Vanilla Bean Frosting post was sponsored by SLOFoodGroup, but the recipe and opinions are entirely my own. It’s definitely hard to resist those sales, but lots of times after the holidays, I just want to avoid any store for a while, but then there’s emails tempting us, right? I’ve never made homemade vanilla extract, but that sounds like a great idea! I don’t use rest vanilla bean every time I’m baking, but love it when I do and see those little flecks of vanilla bean in there. This cake looks so delicious, David! Plus, it’s so festive! Those spices and that icing are a winning combo, my friend! So Christmassy! Pinning! Happy Monday to ya! P.S. Robbie looks adorable with Santa!! Too cute! Oh man, if only you had been there, Dawn! Santa also had a nasty cold this time last year, so when he made it back across the street, he hid behind a tree huffing and puffing and coughing for about 5 minutes. 🙂 Oh man, you should totally start making your own vanilla extract, Dawn! It just takes a couple of months, so pack it away in the back of a cabinet and then find it again some spring. Then you’ll be all set! Thank you so much, my friend! Hi David (or should I say Santa)! When I saw the first photo of this cake I thought “now I have to make a cake along with all the other stuff on my list”! 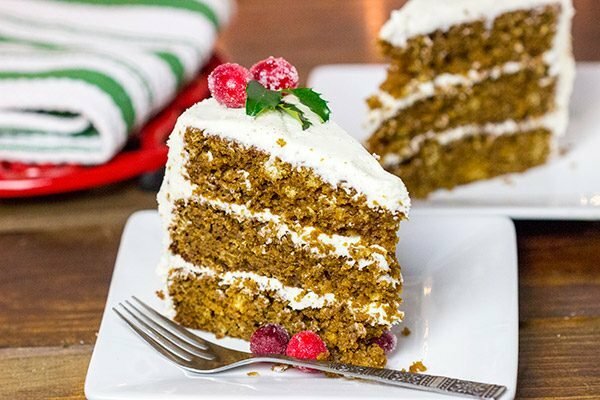 This cake sounds seriously delicious and looks so festive! I don’t have any vanilla beans right now, but I do have vanilla bean paste. How much do you think I should substitute in both the cake and the frosting? What a great shot of Santa on the run! And the picture of Robbie is is beautiful! Hahaha! That’s the funniest Santa story ever! I can only imagine being chased by a bunch of kids while wearing a Santa suit! Vanilla beans are an absolute recipe game changer. I use bourbon to soak my beans for adding to my porters and Christmas ales. 🙂 This cake would be perfect with some Christmas ale! Love that icing! Oh man, I wish you had been there, Rachelle. Those kids could’ve snuck up on me no problem and tackled me right there. But fortunately they yelled when they got about 10 feet away…just enough of a headstart to barely get away. Thanks to the cap flying off, too. That slowed them down enough for Santa to hide behind a tree! 🙂 Oh wow, vanilla beans soaked in bourbon. I bet that would make both the beans and the bourbon taste incredible. I need to get a batch of that going ASAP! Hahaha! Oh my word! That was one heck of a Santa tale! 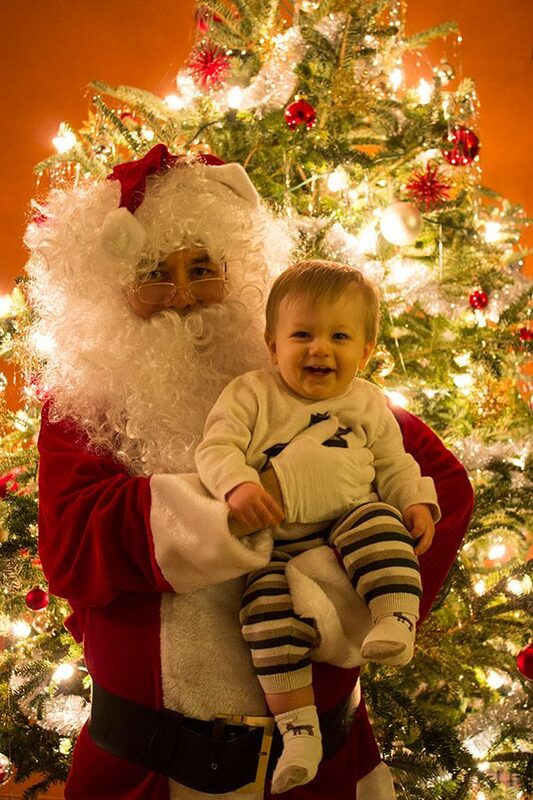 That kid is incredibly close to Santa in that picture or am I seeing ghosts?! I’m impressed you gave him the slip! And that picture of Robbie with “Santa” is simply priceless! Aww shucks – too bad you aren’t doing the whole Santa gig again this year – I bet those kids will be talking about the day they almost caught Santa at this years get-together – though, if they were like I am, they’d be easily distracted with a slice or 3 of this here gingerbread cake! I’m firing up my drone to send it up north on a recon-gingerbread-cake mission! Btw, I love baking with vanilla bean and so gotta check out SLOFoodGroup cos they have my hometown’s cinnamon and – edible gold leaf! Merriest of merry’s to you, Laura and that adorable kid of y’alls! I know! Those wily kids almost ruined Christmas! Can you imagine what the little kids would’ve thought had the older kids actually caught Santa and tackled him in the backyard. It almost happened! Wait. Are you actually blackmailing me in hopes of getting some gingerbread cake? Haha! I think we can arrange for some of this cake to make it to you…if you’ve been nice this year! This cake definitely belongs in the “let’s EAT is all” category! Actually, if you and I split the cake, then we technically didn’t eat it all by ourselves. That counts for something, right? 🙂 Oh man, I still have flashbacks and cold sweats of the moment I heard those kids behind me last year! Haha…good times! Your Santa running in the backyard story made me laugh so hard I was crying. What a lovely thing to do for the kids – glad you were able to replace the Santa hat you have lost that night 🙂 The gingerbread cake is such a beautiful centerpiece for any Christmas table and it sounds and looks so delicious too! Yay! So glad I could share that fun story, Miriam. And I didn’t make up one bit of that one. It actually happened. And then Santa stood behind a tree across the street for about 5 minutes trying to catch his breath. 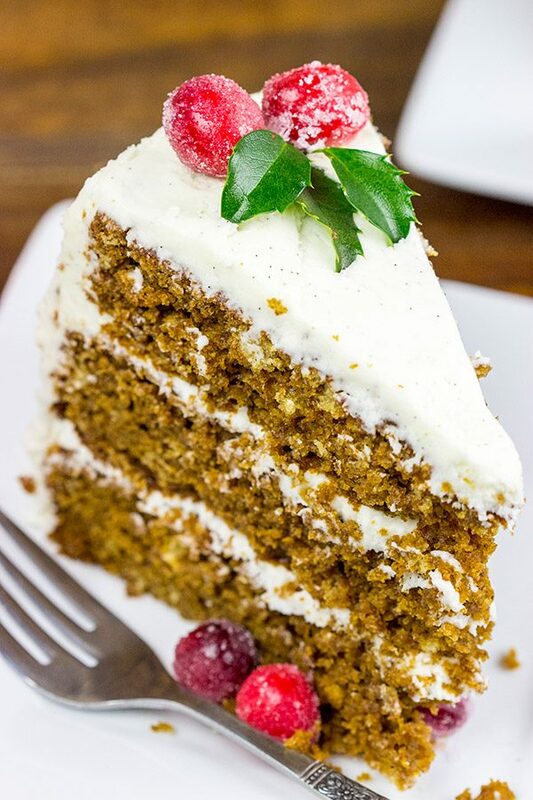 🙂 This gingerbread cake really is quite delicious…it’s moving straight up my list of favorite Christmas desserts! Thanks!! 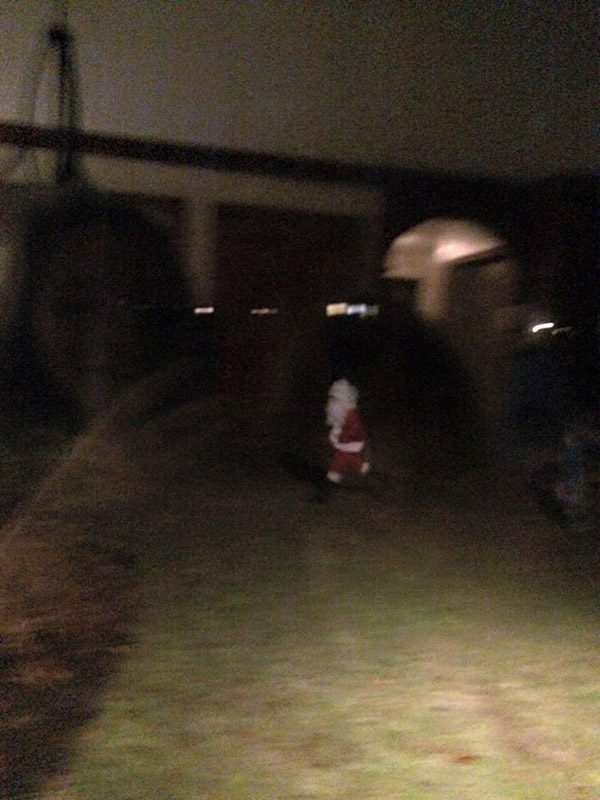 That is SO awesome/funny about you running through the backyard in a Santa suit…and even more so because you have photographic evidence! I wish I’d had a neighbor like you when I was a kid. 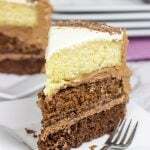 Especially if that would mean getting a slice of this gorgeous cake! I’m not a big fan of gingerbread cookies but gingerbread cake is an entirely different story. 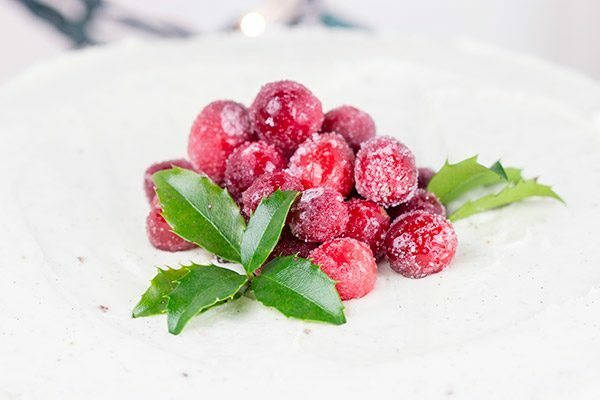 Love the sugared cranberries on top, too! I didn’t realize anyone had taken a photo of the whole event until I got back inside (dressed as the guy across the street again)…but I’m so happy someone had their phone out! 🙂 You know, I hear you might be looking to leave MI, and Clifton Park, NY is a great place. Move here…and I’ll make sure you never go short on treats again. And Santa might even appear in your backyard…haha! Thanks, Mara! DUDE! Robbie is looking more and more like you and he didn’t scream at Santa! Love it! Well, I didn’t mention that we had to take about 45 photos to get a good one! He wasn’t mad that morning, but he was squirming like you wouldn’t believe. Anyways! Yes, the Santa Sprint! Complete with kids from the local track team chasing you. If you win, you get lots of cookies. If you lose, well then you ruin Christmas for everyone. Sounds like a fun game! Also, you and Laura need to get over your hatred of gingerbread…it’s the best holiday flavor ever!! A neighbor did that one Christmas morning when I was a kid and he scared the daylight out of me in our living room Christmas morning. Great pic of you and Robbie, I mean Santa…. This cake is gorgeous! I have to bake it but I wonder if I’ll be able to brag about it before eating most of it first ;). The Santa and kid picture is soooooo cute. If I saw Santa (NOW) I’d still run after him, catch him, and make sure he gives me everything I have in my long list! Hahaha…I think you can totally hold off to get at least one photo of the cake, Muna! 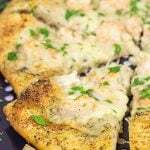 Well, maybe a photo of just one slice, ok? 🙂 And oh man, I’m really glad you weren’t chasing Santa last year, too. There’s only so many people Santa can outrun! Merry Christmas, my friend! Haha…oh, I totally understand the whole vetoed thing around here, too, Jeff. But that’s when I pull the line, “Well, it’s for the blog.” That, and the fact that I have the curling club to readily dispose of any leftover sweets. (Although this gingerbread cake was too good to part with…I had to save it in the freezer for future consumption. Even if I’m the only one who likes gingerbread around here!) I hope you and your fiance have a very Merry Christmas, my friend!